Increase your English level with our intensive 40-hour courses. The classes are entertaining and dynamic with useful and practical didactic objectives. The course is taught by experienced native teachers and the groups are organized by age and level. 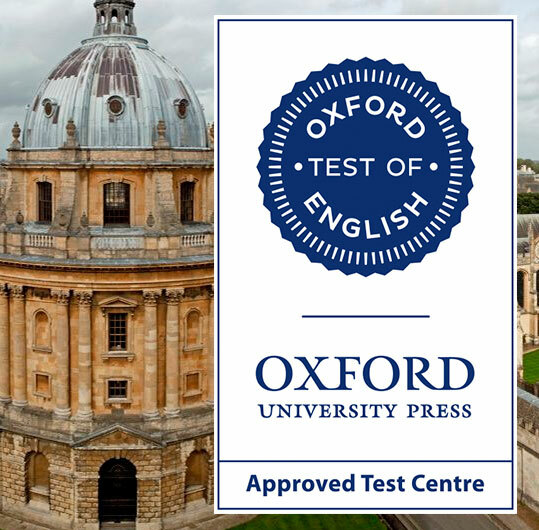 Obtain the Certificate from the University of Oxford for levels B1 and B2 at the end of the course. Afternoons from 18:30 p.m. to 20:30 p.m. Mornings from 10:00 a.m. to 12:00 a.m. Afternoons from 18:30 a.m. to 20:30 p.m.